Rastafarianism is a monotheistic religion that claims a single God. The Rastas refer to this God as “Jah” and, similar to Christianity, see Jah in the form of the Holy Trinity (Father, Son and Holy Ghost). Rastas emphasize that in the Holy Ghost form, Jah can be found within all human beings. Rastas also agree with Christians that Jesus Christ is God incarnate. They believe, however, that the teachings and legacy of Jesus Christ were corrupted by Western Society, which they often refer to as “Babylon.” They believe that Jesus was black, and that he is only depicted as white as a result of the West’s corruption of Christianity. The Rastas claim that Africa (and especially Ethiopia) has been promised to them by Jesus Christ. They refer to these Holy lands as Zion. They also believe that they are the real Children of Israel. This belief can be seen in the strong Afrocentrism evident in Rastafarianism. Also present in Rastafarianism is the concept of “Black Pride.” Many early Rastas believed in the idea of black supremacy, but later, Rastafarianism evolved to accept people of all ethnicities, as they came to believe that the religion should belong to all humans. Being an Abrahamic religion, Rastafarianism draws heavily from the Bible. The New Testament Book of Revelation is considered the most important piece of scripture. Many adherents of Rastafarianism believe that the written Bible makes up only half of the true Bible. These Rastas believe that the other half of the Bible can be found in one’s own heart. There are two major ceremonies that members of Rastafarianism engage in. One ceremony is called reasoning, and consists of a gathering of Rastas who smoke cannabis and discuss political, philosophical and ethical issues of the day. 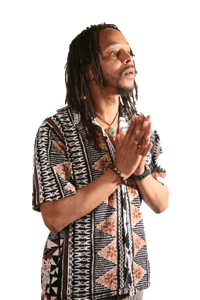 Groundation, the other major ceremony of Rastafarianism is a holy day during which Rastas sing, dance, smoke cannabis and recite a prayer very similar to the Christian Lord’s Prayer.